BURLINGTON, Kan. – A Coffey County jury today found Carol Sue Burris, 69, of New Strawn, Kan., guilty of one count of reckless second degree murder and one count of mistreatment of an elder person, the Kansas Attorney General’s Office reported in a press release. The charges stemmed from the mistreatment and death of Burris’ husband, Michael D. Burris, in New Strawn from April 2016 to October 2017. 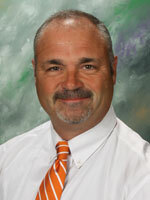 Chief Judge Taylor J. Wine presided over the trial, which began April 22. Sentencing is scheduled for 9:30 a.m. June 27, 2019, in Coffey County District Court. Deputy Attorney General Steve Karrer and Coffey County Attorney Wade H. Bowie II are prosecuting the case. The case was investigated by the Coffey County Sheriff’s Office. “To keep the body in good health is a duty, otherwise we shall not be able to keep our mind strong and clear.” This very wise and aptly spoken quote from Buddha makes perfect sense in the world today when a greater percentage of our population is developing dementia and Alzheimer’s disease. We always hear talk about heart health but what about brain health? Our brain needs our attention too. It needs to be nourished and fed the right kind of foods to keep us thinking clearly, focused, feeling energetic and functioning at our best. As dementia and Alzheimer’s disease continue to rise in the United States with no cure in sight, the earlier we begin making healthy food choices, the better. Currently, Alzheimer’s disease is the 6th leading cause of death with 5.3 million Americans living with this condition. It is predicted that unless a cure is found, 16 million Americans will have the disease by 2050. Warm sunshine, a gentle cool breeze – what better conditions could you ask for? Especially, if you are hosting an Easter egg hunt! 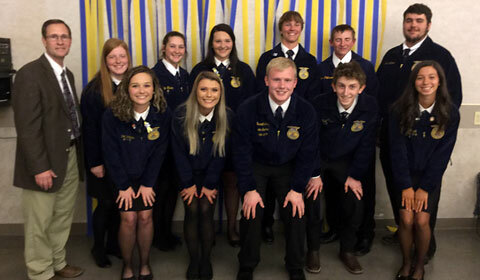 These were the perfect conditions the Melvern Jr. Highline 4-H Club was blessed with on April 20, 2019, when they hosted the annual Melvern Easter Egg Hunt. More than one hundred egg hunters and their families came out to enjoy the beautiful weather and fellowship of their local townsmen. The following information was compiled from records at the Osage County Courthouse, April 8 through April 12, 2019. EMPORIA, Kan. – Wanda Lucille (Raney) Hanks, 81, passed away Sunday, April 21, 2019, at Presbyterian Manor, Emporia, Kan. Wanda was born April 25, 1937, in Tulare, Calif., the daughter of Alva Robert and Jewell Louetta Ann (Hays) Raney. She moved to Norwood, Mo., at the age of 7 and attended school there. CARBONDALE, Kan. – Hellen E. Starkebaum, 92, of Carbondale, Kan., passed away April 18, 2019, at her home. She was born Nov. 11, 1926, in Dover, Okla., one of nine children of Charles Tucker Beckmon and Anna Marie Chriestenson Beckmon. She grew up in Kingfisher County, Okla., before moving to Kansas with her family as a teenager. LYNDON, Kan. – Local law enforcement officers will join others across the state in collecting unused medications for safe disposal 10 a.m.-2 p.m. Saturday, April 27, 2019. The collection events are part of a nationwide effort to safely dispose of leftover medications to prevent accidental or intentional misuse. In Osage County, the Osage County Sheriff’s Office, 131 W. 14th St., Lyndon, and Overbrook Police Department, 102 W. Santa Fe Trail, Overbrook, will be collection points for the national Drug Take-Back Day. Since the Drug Take-Back Day program began in 2010, more than 81 tons of unwanted medications have been collected and destroyed in Kansas. Medicines that languish in home cabinets are highly susceptible to diversion, misuse and abuse. Nationwide, the Centers for Disease Control and Prevention estimates opioid overdoses kill 130 Americans every day. According to the Kansas Department of Health and Environment, pharmaceutical opioids are a leading cause of drug poisoning deaths in Kansas. Unused prescriptions can be turned in year-round at many local law enforcement locations. For more information about local collections of unused medications, contact the Osage County Sheriff’s Office at 785-828-3121. 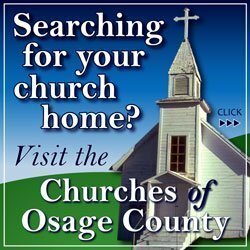 Osage County News can help you with “help wanted”. We reach thousands of people in the local area weekly, and hopefully can help you find the perfect candidate for your job. Our rates are affordable, and all ads come with unmatched friendly, efficient service. Contact us today to find out how you can connect to the Osage County area online community and let prospective employees know about your job openings. Call 785-828-4994 or email [email protected]. Certainly, that’s true with frequency that speed limits have gone up and down. Likewise, varying stringency, leniency, inconsistency of enforcement, such enforcers often exceed posted signs. Still, no question, wrecks increase with heavy footed automotive driving. Interesting though speeding on roadways was considered dangerous resulting in fines long before cars were invented. If President Grant were alive today, he’d probably have quite a few points on his license by now. The next day, West caught Grant’s buggy going at “a furious pace.” America’s top elected official was immediately pulled over. Rotation grazing is recognized as a way to utilize pastures and forages more efficiently. A collaboration of experts from K-State Research and Extension, Natural Resource Conservation Service and the University of Missouri are joining together to offer a two-day grazing school to present information about grazing in the classroom and in nearby pastures. 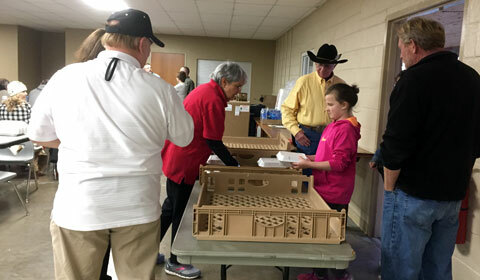 This year’s event marks the 8th annual grazing school and will be held April 24 and 25, 2019, at the Franklin County Fairgrounds, Celebration Hall, 220 W. 17th St., Ottawa, Kan. The event will feature special presenters, Mark Green, Missouri NRCS, and Wesley Tucker, University of Missouri Extension Service, who will be sharing their expertise. Green will discuss fencing options and water systems and development. Tucker will present the economics of grazing and will help producers with layout and design of grazing paddocks. Vintage and classic cars lined Market Street April 13, 2019, as the Cruis’n and Cook’n Auto Show cooked up a good time in downtown Osage City. Photo by Sam Gomez. 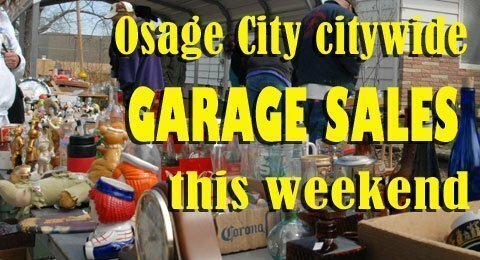 Osage City is opening its garage doors, driveways and yards to shoppers Friday and Saturday. 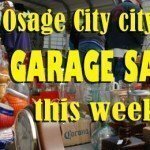 The town’s citywide garage sales will be April 19 and 20, 2019, hosted by the Osage City Chamber of Commerce. The Chamber has produced at map that lists sales all over town and designates which section of town and the types of goods for sale. 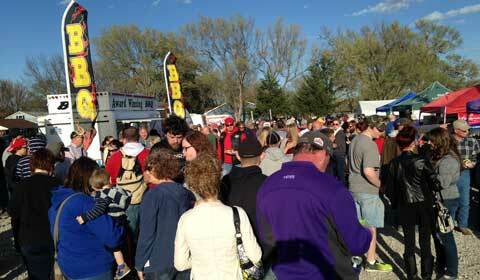 Maps will be available at Casey’s and other local businesses Friday and Saturday. 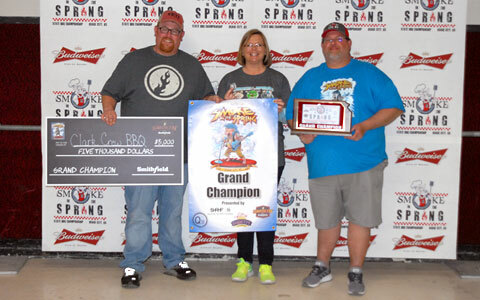 Donations received for listing sales and for advertising on the map are used for a scholarship for a graduating senior from Osage City High School. For more information, contact Tricia Gundy, Osage City Chamber garage sale committee chairperson, at 785-528-3301, or Peterson Assisted Living, 629 Holliday St., Osage City. 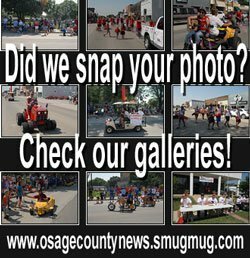 Remember you can post your own garage sale for free on Osage County News at www.osagecountyonline.com/place-your-own-garage-yard-sale-ad. OVERBROOK, Kan. – Albert Smith, 95, passed away on Monday, April 8, 2019, at Midland Hospice House, Topeka, Kan. He was born on July 17, 1923, on the family farm north of Osage City, Kan., the son of Virgil and Florence Anderson Smith Sr.
Albert had lived near Richland, Kan., before moving to a farm north of Overbrook, Kan. Albert served in the United States Navy as a Petty Officer 2nd Class from 1943 to 1946 during World War II. He had farmed for 68 years. Longtime farmer friend accessed another pour down walking out of church. For several days, Flint Hills had been ablaze with smoke apparent in the sky every direction. It was a haze drawing critical attention from a handful or so of large urban centers. They were offended at the contamination and fright of hazardous damage to the environment. Such a controversial issue has been pasture burning since beginning as necessary range management tool. Fact is prairies were free of most intruders until ranchers started productive grazing programs. Nature took care of itself, it’s said; lightning started fires, pastures burned, lush grass grew. Buffalo, deer, antelope, prairie chicken and creatures of the wild thrived on native rangeland. Farmers and ranchers started planting trees of various sorts for windbreaks, home shade and landscaping. Worthwhile endeavor until wildlife and wind were seeding trees all over the lands. Then environmentalists encouraged various additional herbaceous plantings in attempting to slow land erosion. “Helpful” plants soon were nature spread beyond eroding draws, washouts and steep acreage into land never intended.